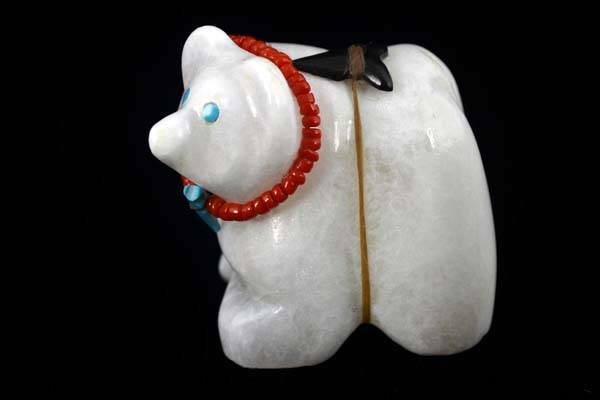 This beautiful bear was created by Native American Zuni artist Robert Kionut. 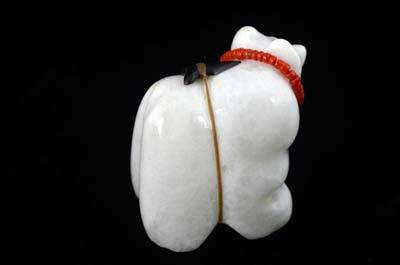 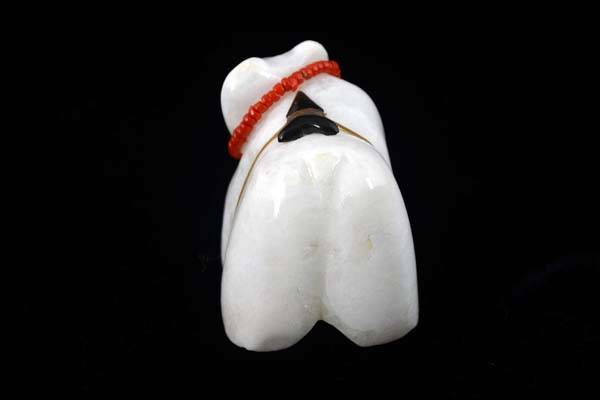 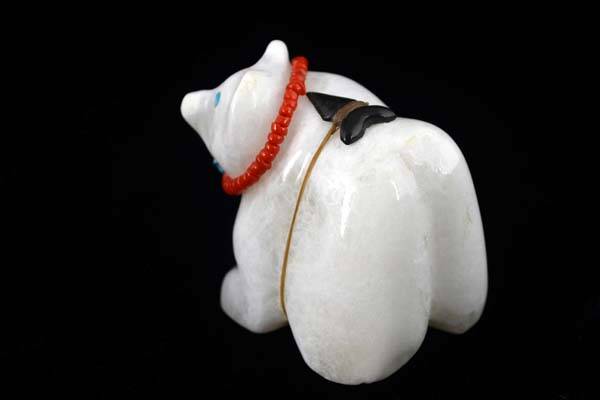 The bear is carved out of white alabaster and it has a arrow bundle made of jet stone on its back. 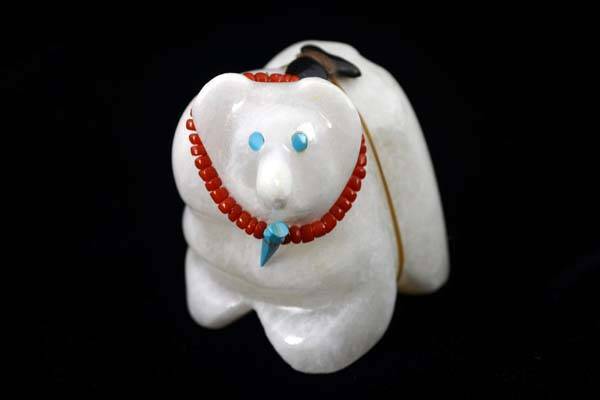 This wonderful bear has turquoise inlaid eyes and a very unique facial expression and style which stands out among other fetishes.